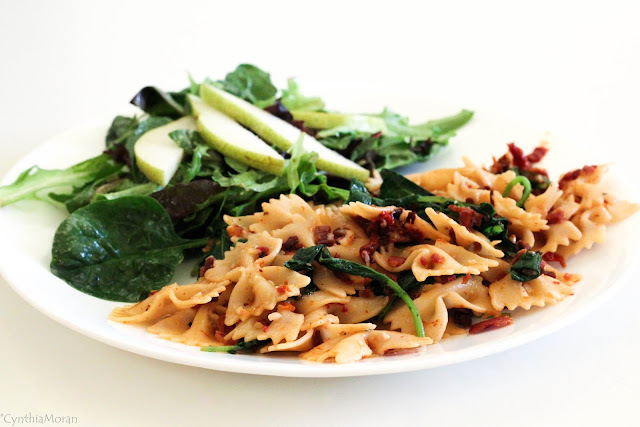 Pasta with Kale, Bacon, and Sun-Dried Tomatoes. This recipe from Cooking Light was so quick it caught me off guard! I used bacon that was leftover from breakfast which sped up the prep a bit. Very good and loved by everyone. The kids were disappointed that there are no leftovers for their school lunch tomorrow. Served with a side salad. Yum!